Passport/Visa Requirements: US citizens need passports, visas and proof of onward passage. Predominant Religions: Islamic (Sunni), though many other sects and religions are represented. Time Zone: 2 hours ahead of Greenwich Mean Time (+2GMT), 7 hours ahead of Eastern Standard Time (+7EST). Turkey is a study in contrasts. Straddling Europe and Asia, this 10,000-year-old country is a true crossroads between the East and West, the ancient and contemporary. Its architecture ranges from meticulously preserved antiquities to gleaming high-rises. Its traditions run the gamut from the strictly secular to the extremely pious. This culturally diverse land is a melting pot of everything the world has to offer. Its natural beauty includes the Aegean, the Mediterranean and the Black seas, over 5,000 miles of coastline, all for your viewing and sailing pleasure. Determined to get a taste of all of these Turkish delights, we started our journey in Istanbul. 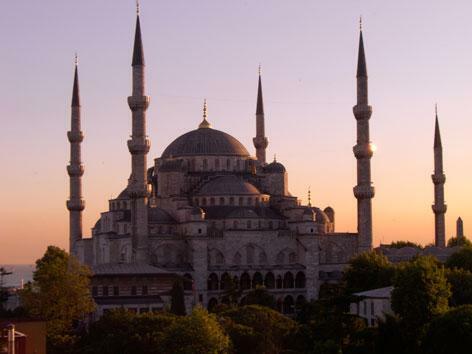 The city was truly magical, with its Mosques, Palaces, Squares and Grand Bazaar. Our next stop was Ephesus, the grandest and best preserved ruins in all of Turkey. And then, it was off to the coast for one of Turkey's famed gulet sailing expeditions. Coves, beaches, lagoons, coastal towns – every day was a new adventure, ensuring that the kids never knew quite what to expect but always had something fun and exciting to look forward to.